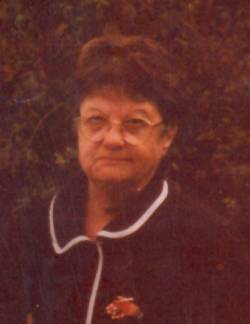 Dorothy Irene Leahy, 82, passed away unexpectedly Monday, April 24th, 2017, of natural causes at her home. Born in North Haven, CT, on January 14th, 1935, she was the daughter of the late Antonio and Irene (Vincelette) Talnose. For several years, Dorothy lived along the coast of Connecticut. In 1954, she survived two major hurricanes within two weeks. First was hurricane Carol then Edna. Dorothy was formerly employed by Lehman Brothers Printing in New Haven, CT and later as a private maid. She was a fine mother who will be remembered for her love of singing and spending quality time with her family and many close friends at the community where she resided. One of her passions was playing bingo and going to the casino. She leaves her children, Deborah A. Reynolds of Meriden, CT, Michael Reynolds of Melbourne, FL and Richard E. Leahy of Highgate, two grandchildren, Joseph Reynolds of Middletown, NY and Daphine Thompson Carrigan of Jackson, MI, her brother, Richard Talnose and wife, Louise of Milford, CT and her sister, Cecilia Flynn and husband, James of Milford, CT, her feline friend, Kirby and several nieces, nephews and cousins. In addition to her parents, Dorothy is predeceased by a daughter, Michelle Marie Reynolds and her brothers, Gene Talnose, Harold Talnose and Wilfred Talnose and her feline friend, Boots. To honor her request, services will be held at the convenience of her family. Interment will be in the family lot at the St. Lawrence Cemetery in West Haven, CT.